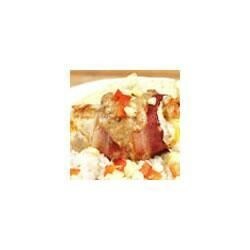 "A colorful, savory winter dish that presents beautifully for family or guests. (For the faint of heart or stomach, it can be prepared with less 'bang.')" Delicious chicken dish. Be sure to pound the chicken breasts very thin, it makes rolling them up much easier. My family loved this recipe!!!! Very tasty and makes a great presentation. Would serve this to company. Thanks for a great recipe Sophie !!! A decent go-to recipe. I gave it four stars because it wasn't "amazing" in my opinion. The gravy turned out a hot mess, but the chicken was wonderful.